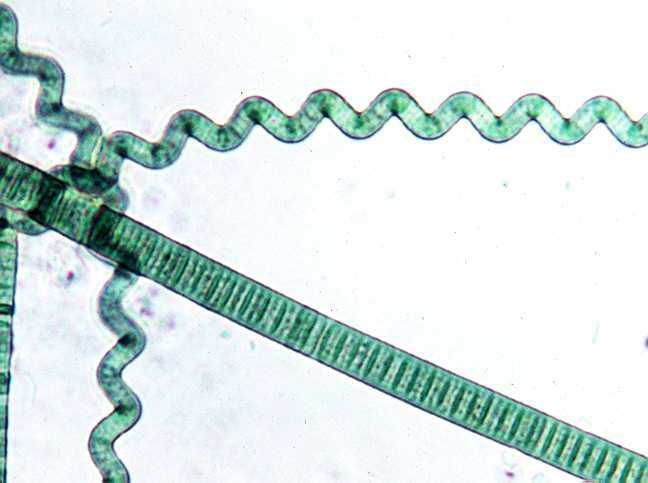 [Images: Fossilized cyanobacteria from Bitter Springs, Australia; and nonfossilized cyanobacteria]. The early Earth, in its so-called Hadean phase, was a constantly exploding storm of rocks and asteroid impacts. Lava flows wider than the Mediterranean and deeper snaked across barren igneous landscapes, forming deltas of volcanic glass – that were then shattered by iron-rich debris falling from space. This went on for millions of years. No rocks survive from this period; it was a landscape that entirely destroyed itself. “How did life emerge amidst this mayhem?” asks physicist Paul Davies, in what is surely one of the most interesting New York Times editorials (10 April 2005) published this year. 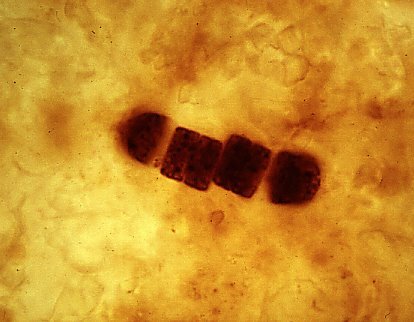 [Images: Fossilized cyanobacteria from Bitter Springs, Australia]. What’s interesting here is that one colony of microbes finally survived long enough to get its foot – excuse the anatomical metaphor – onto the evolutionary escalator, and thus we’ve got life as we know it. Terrestrial life. But, Davies asks, what if another microbe colony, locked in its place of safety – burrowed into bedrock, or buried under rising seas – what if it too survived? 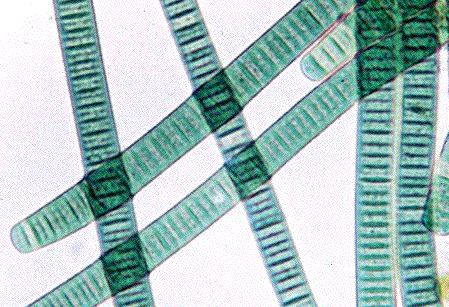 [Images: Like screen captures from a Stan Brakhage film, these are the elegantly named Oscillatoria and Spirulina cyanobacteria]. Are you sure that’s your little brother? This would be “a form of biology that is unrelated to familiar life” – and coming soon to a sci-fi novel near you. Or, in Jerry-Bruckheimer-meets-BLDGBLOG part 473: A mining operation in the Australian outback discovers weird subsurface geological formations that appear to be fossilized bacteria – only the team members are getting headaches, and they’re coughing up black phlegm… They have infected themselves with a disease from the Hadean era. peter watts is a fiction writer with an extensive background as a scientist. wrote a trilogy, but only the first book was good. a main plot point was an older, more effecient form of life on earth, that had prviously been trapped at deep sea vents.